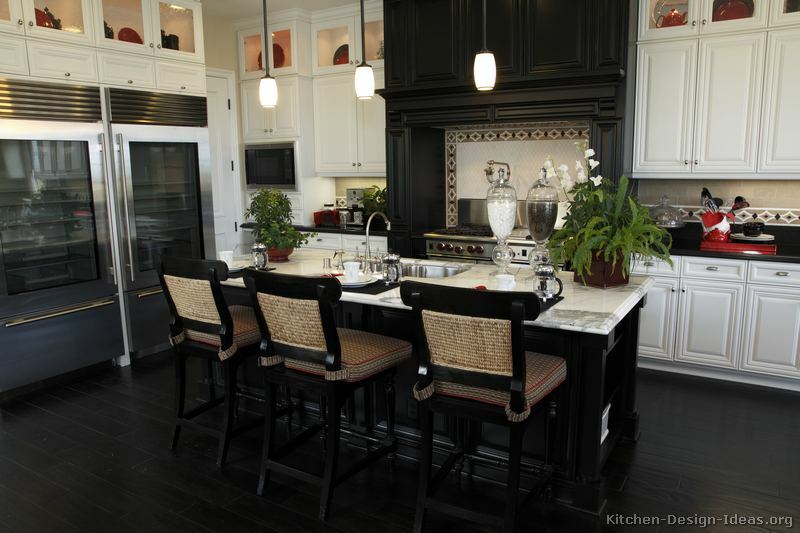 The kitchen is the heart of every home, where families cook, entertain, and relax. Whether you’re building a new home or remodeling an existing kitchen, and by those regards planning for the mood of the kitchen sets the tone for the rest of your home. 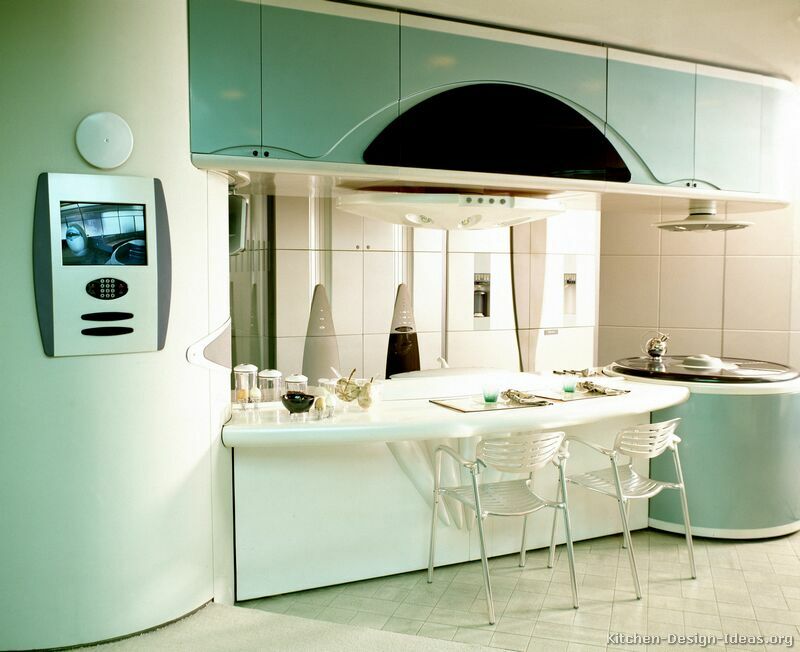 The kitchen is the most expensive and challenging room to build or remodel. But it’s where everything happens — talking, cooking, scheduling — so it’s important to make the space functional, comfortable, and attractive. 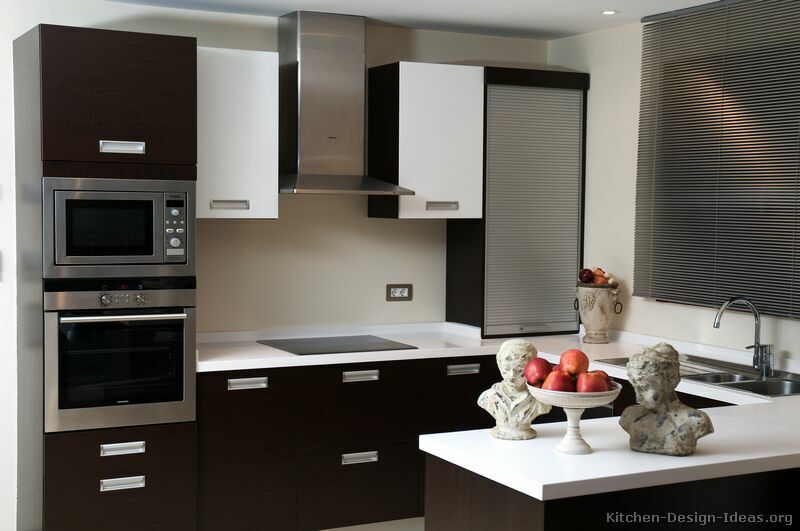 Making sure your kitchen works for your family requires more than simply selecting beautiful finishes. You’ll also need to make smart design decisions that create a safe and accessible space. A kitchen must have at least one wall-switch controlled light, with the switch placed at the entrance. At least 8 percent of the total square footage of the kitchen must be windows or skylights. It’s also important to have task lighting over every work surface. For all cooking surface appliances, install an outdoor-venting ventilation system with an exhaust rate of 150 cubic feet of air per minute. Installrange hoods or microwave-hood combos at least 24 inches above a stove or according to manufacturer instructions. If a microwave is placed below the countertop, the bottom must be at least 15 inches off the floor. Allow 15 inches of clear space above the refrigerator. Now that you’ve got your workflow and functionality mapped out you can start looking at the most important feature, the colors. The easiest issue homeowners run into is only imagining one item at a time. Some features look great by themselves but putting a white granite top with a white antique style door will surely hurt your eyes to look at it. 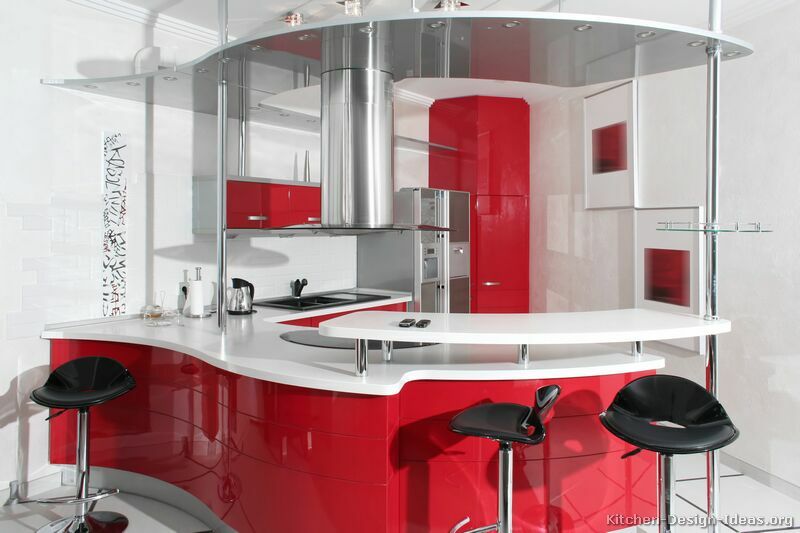 You must look at what this kitchen is going to say and what mood you wish our kitchen to envelope. By attempting for an elegant look most homeowners reach for a stone countertop with smooth finishes on the cabinet doors. Or if you are more the type who enjoys the cabin feel, simply, changing the cabinets from a frameless to a framed cabinet can alter the finished look of your kitchen. However, it does not take mush to go too far on the details so remember that adding trim and detail can bring a level of elegance to your project but too much can look like a garbled mess as demonstrated below. Designing a beautiful kitchen is significantly more than picking out a nice cabinet door or a nice countertop finish, it takes time and imagination to visually build your kitchen from the ground up. But, take your time and work through what will be best for you. Whatever you cannot manage we will help with. Happy designing! It’s been 7 years since we purchased our Computer Numerical Control (CNC) Router and in the last year we have only started scratching the surface of what the capabilities are. Earlier this year, we had a customer ask for a complexly shaped sign which, at the time, was out of our capabilities. After a fair amount of head scratched Lighthouse Cabinets decided to dip a toe into the world of custom sign making. This GDX sign is about 4′ x 8′ in overall dimension and was finished with a ChromoBase (automotive finish). The base is made of 3/4″ MDF with track lighting built in. The 3D top portion was cut from a 2″ thick MDF with a 5/8″ ball nosed router bit. This sign is something we put a great deal of care into making and is far less expensive than having it constructed out of metals, plastics or foams. So, think of us the next time you decide to make a custom sign. Clean and Stylish. Today, being bold is more than having bright colors, it is about making a statement. The new trend streaking around high end homes are two-tone color pallets. Dynamic Duo: This color combo, unlike the oddball colors schemes that fancy designers dream up, never goes out of style. Like a bride and groom in traditional garb, this classic combination fits the bill and has serious stylistic staying power. What you do with the design, however, may be another story! 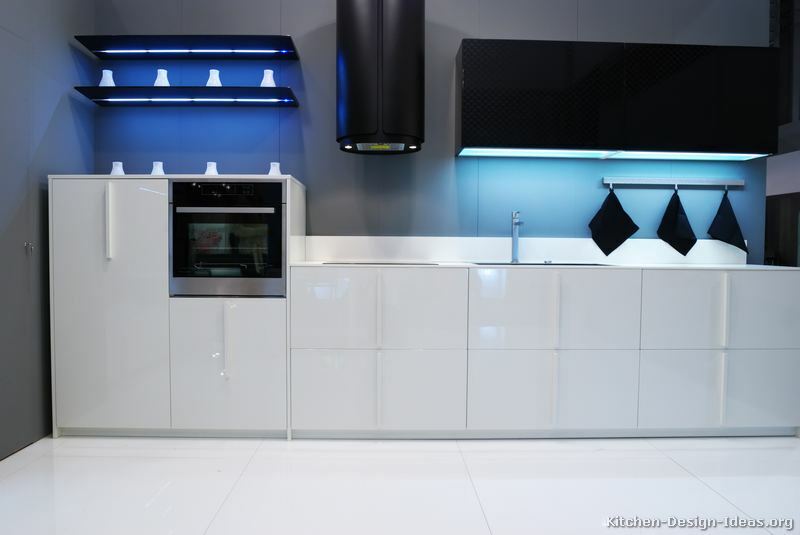 Complete Contrast: A black and white kitchen needs no other color to be complete. Technically, it only takes two colors to create a color scheme. That said, some people like to add flair to the monochrome blend. More Pizzazz: If you prefer a splash of color, sprinkling in other hues can make things more stimulating. This can be done either in material selection when designing the kitchen or in decor placement after the remodel is finished. In the photo above, red kitchen decor is placed on the countertops and in glass display cabinets to enliven the color scheme. Mixing it Up: The ways in which a black and white color scheme can be arranged are virtually limitless. 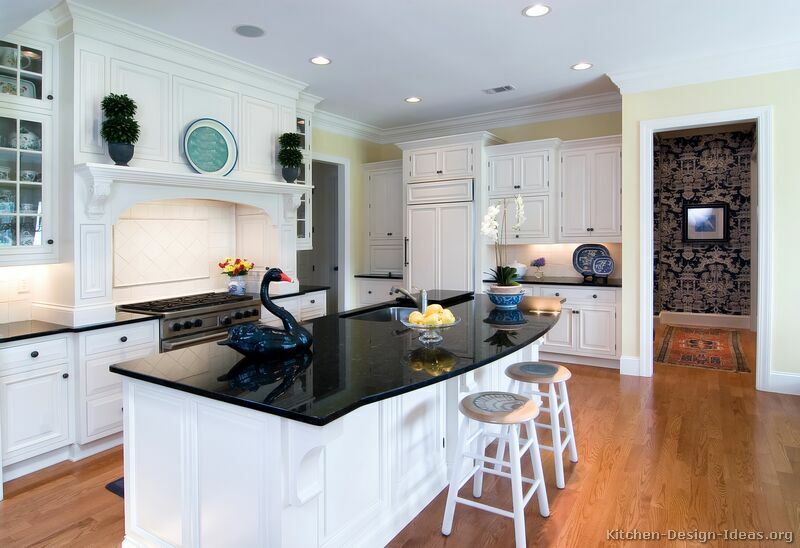 Some designers stagger the main cabinets in white with the island cabinets in black, and then specify the countertops in reverse. 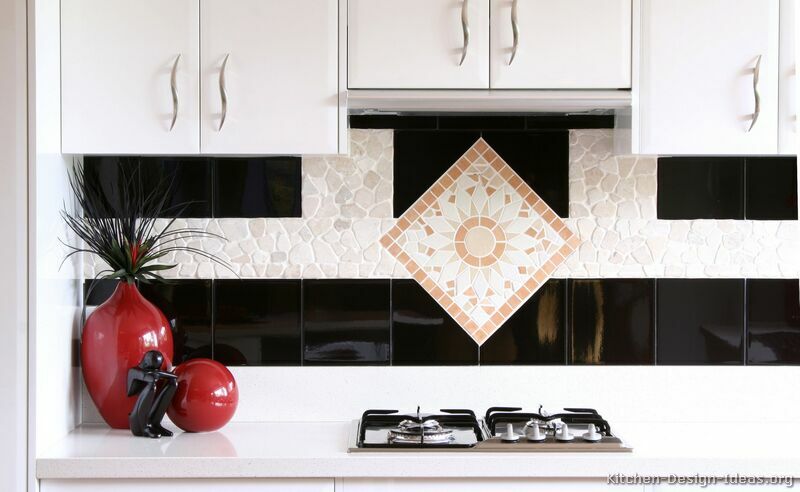 Another way is to use the contrasting color on the countertops or bring in black and white tiles on the backsplash or floor. 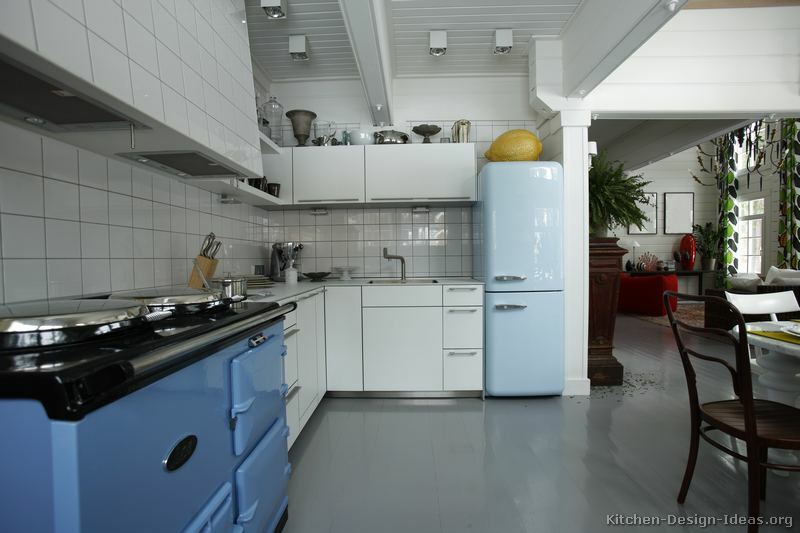 Black and white appliances are also an option, unless you prefer stainless steel. What’s Your Style? 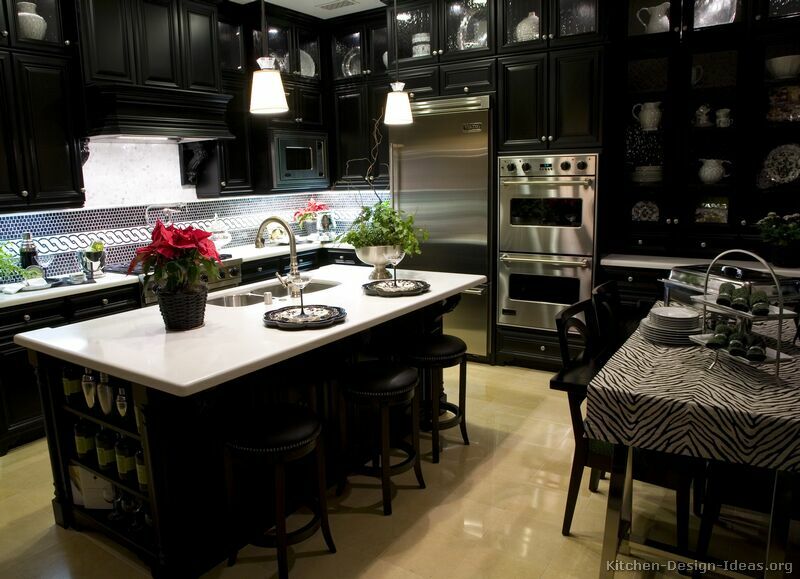 Depending on the design, black and white kitchens can look traditional, modern, luxury, country, or even retro. 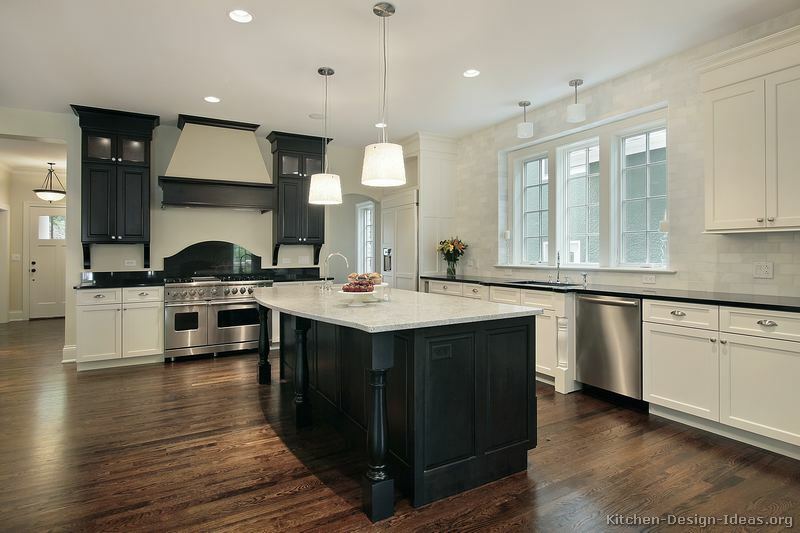 Before diving into a remodel, take a look at the kitchen style galleries to see which way you want to go with your own kitchen, and be sure to match or compliment the overall character of your home. Pattern Psychology: Consider the effects that these two diametrically opposed colors can have on the ambiance of a room: Broad swaths of white and black in careful placement can provide an elegant feel, while smaller patterns of black and white in sharp contrast may create an energetic and/or fun loving atmosphere.